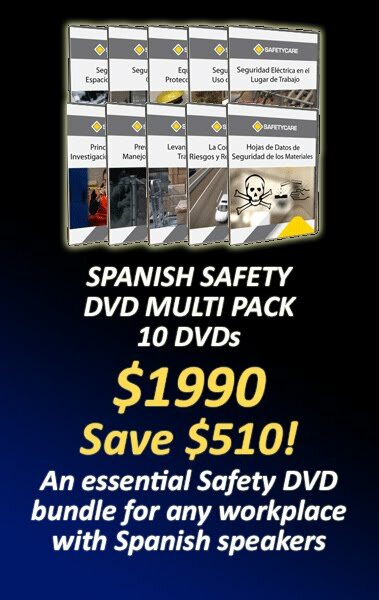 Workplace Safety Blog | Safetycare | Safety Training Videos | Free Safety Pictures and Resources: Spanish Safety DVD multi pack - The ultimate Spanish training bundle! Spanish Safety DVD multi pack - The ultimate Spanish training bundle! Click here to buy this comprehensive Spanish multi pack and arm your Spanish speaking workforce with a complete training DVD library! Great value!